Want to learn how to turn all your wedding "have-to-dos" into "fun-to-dos?" Appy Couple was designed to do just that; instead of using a patchwork of tools and accounts for a variety of different tasks, you can consolidate it all easily and beautifully, with Appy. Their platform provides a convenient way to plan your event, invite family and friends, then share details with specific guests. Appy Couple is a personalized hub for you, and an interactive experience for your guests – all in one website and coordinating mobile app. Curious, we were too, just keep scrolling to find out what all you can do with this fun new app! 2. Everything about your wedding is in one place. 3. 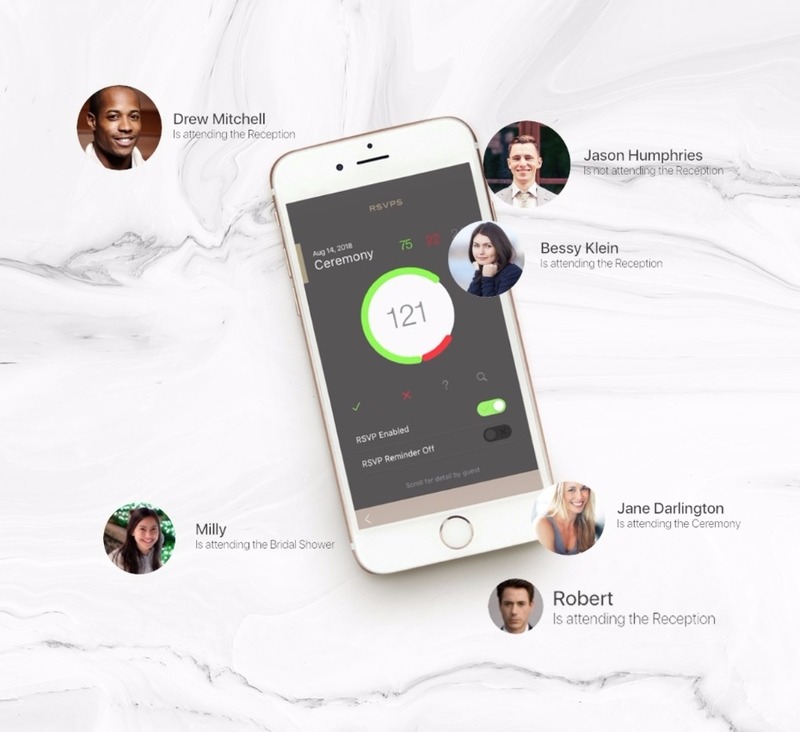 Easily manage your guest/RSVP list. 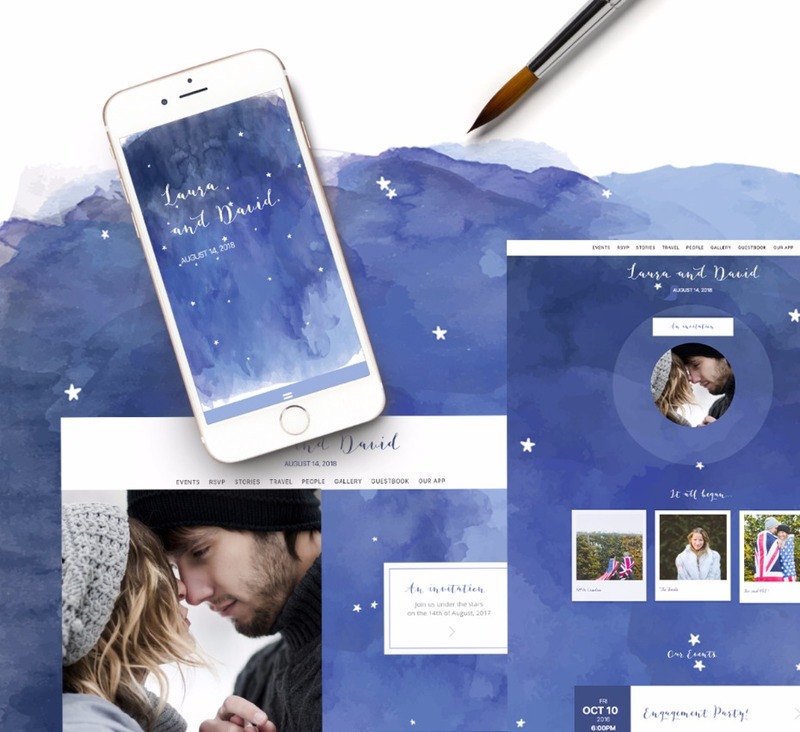 Start by choosing from over 500 gorgeous designs for your wedding website, app and digital stationery. There is a theme to match any taste, be that vintage or modern, rustic or glam, beach wedding or art deco. 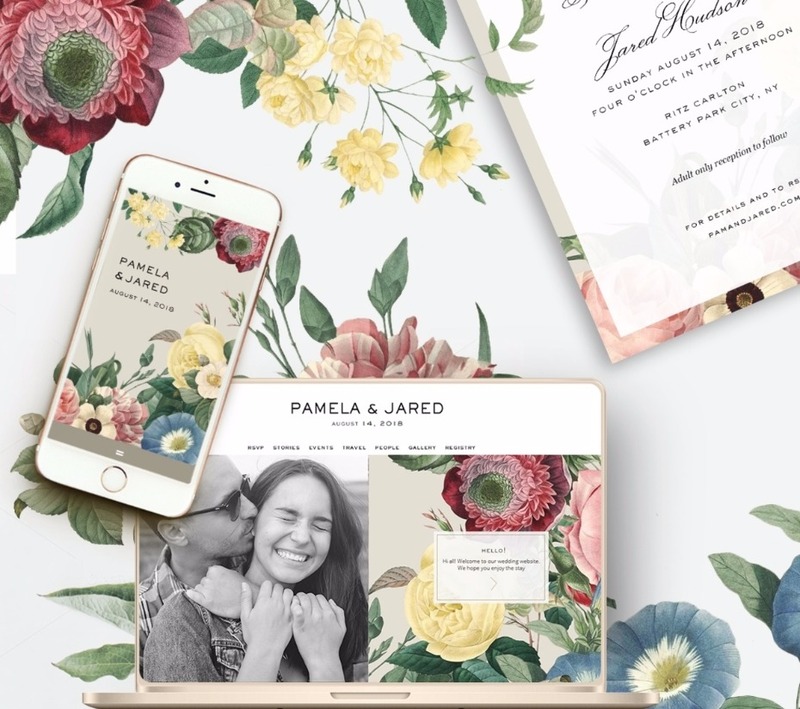 Appy Couple also offers designs through its collaborations with other designers including Ceci New York and Caroline Herrera, Wedding Paper Divas and Elli to name a few. Appy does not require any coding or design skills – simply enter your content and your website and coordinating app are automatically created. What Can Appy Couple Do For You? What Can Appy Couple Do For Your Guests? A photo sharing feature is like having your own private Instagram: Not only can guests add photos of you directly from their phone but also edit them and add filters so they look good. On your wedding day, your photo gallery can be streamed through Airplay or Miracast. 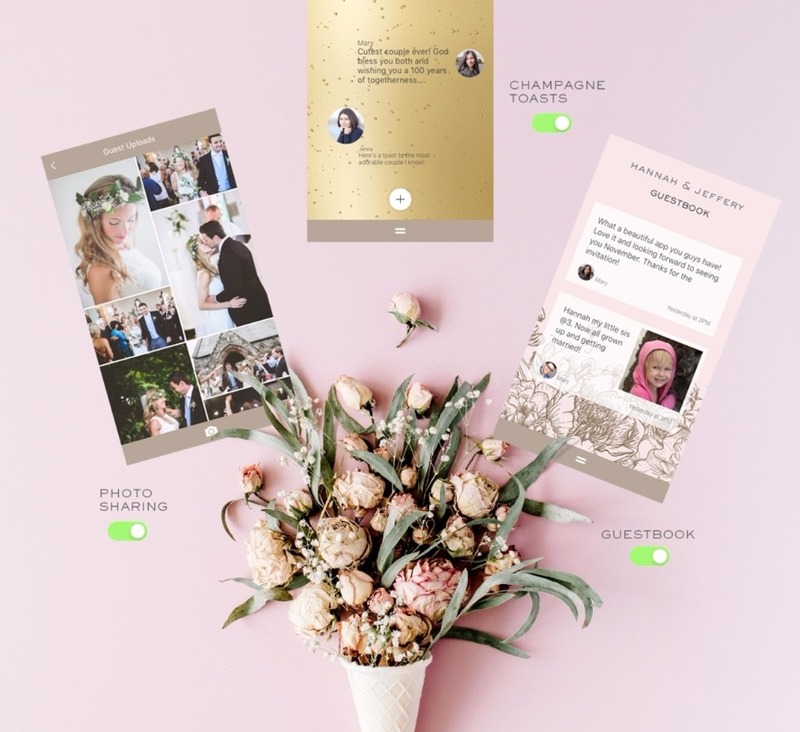 Appy also includes thoughtful digital keepsakes: a digital guestbook, virtual champagne toasts, and an iTunes Playlist to which your guests can contribute. Appy Couple is here for you before, during and after your wedding in ways that will save you time and delight your loved ones. Download the app for a demo of the features and check out Appy Couple's FAQs for any outstanding questions. Let Appy help you plan, share and impress on the go and with style. 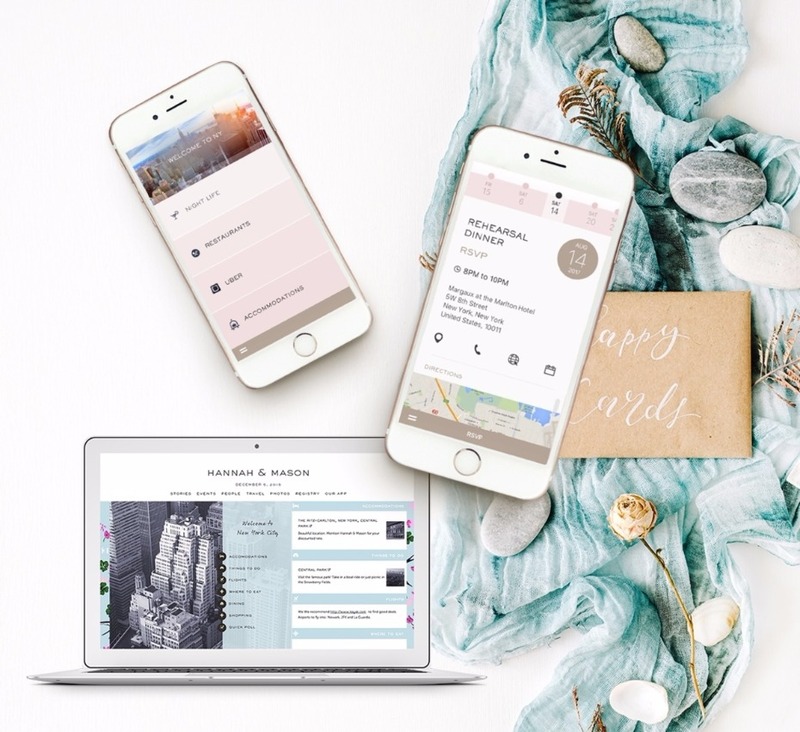 Be sure to check out and follow their Instagram page @appycouple for inspiration for your everyday as well as your big day! We partnered with Appy Couple to share about their fantastically fun and über helpful app. As always, thank you for supporting our sponsors!